The following comments about attractions in Vancouver have been posted from individuals. We believe that the best reviews of Vancouver, British Columbia (BC), Canada are written by travellers and holiday makers who have experienced Vancouver first hand and want to share their thoughts. Can you share yours? Please help us expand this section of our Vancouver World Guide. 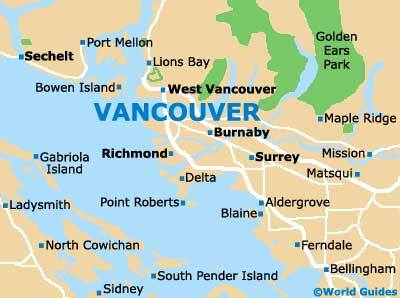 Let us know what you think about the attractions in Vancouver, British Columbia (BC) Canada. Submit comments about Vancouver attractions here. The summer jazz festival in Vancouver is held every year at the end of June and lasts around a week. This is smaller than the one in Montreal and move of the music takes place at indoor venues. I caught an outdoor concert at David Lam Park was turned out to be a great afternoon / evening, with lots of food stalls. However, we weren't allowed to bring in any alcohol, which was a shame, becuase it felt like the right place to enjoy a couple of beers. The West End Farmer's Market in Vancouver is a treat. We didn't know anything about it and found it purely by chance. It is located near to Mole Hill and held each weekend, on Saturday mornings. There was a lot of fruit and veg, as well as cakes, handicraft-type stalls and some nice souvenirs. It is definitely worth a browse if you're in the vicinity. Please note that these Vancouver, British Columbia (BC), Canada comments and reviews are posted by individuals and are not necessarily the views of World Guides.